Caring for pets is one of the most memorable experiences a person can have, especially as a child. But even the most common pets like cats and dogs require a certain level of dedication and skill even from their young owners. For children who love animals and are responsible enough but do not have prior experience yet, it is advisable to start with small animals first. Adults who do not have enough spare time or resources to look after a dog might fare better with small animals as well. Guinea pigs and box turtles are the more common small pets, especially for children. Some people looking for something refreshing could opt for a hermit crabor abeta fighting fish as well.But there are those who go the extra mile and get themselves a hedgehog. Hedgehogs are very much like hamsters, intelligence-wise. They require very little space and are not aggressive by nature. They are better options for people who are allergic to other animals since they don’t leave dander. Hedgehogs are still prickly though. This is why they may not be suitable for very young children. Older owners can interact with their pet hedgehog and understand their needs better. An average pet hedgehog has several needs. One of these is a cage. Choosing a cage, especially for that of a hedgehog, is a critical decision for a pet owner.The hedgehog’s environment will undoubtedly have an effect on its temperament and health. Hedgehog owners and enthusiasts recommend at least four square feet of enclosure, with enough room for the litter box, sleeping area, eating area, and a wheel. A solid bottom cage is more preferable for hedgehogs in a wire cage so that they can walk more easily. Hedgehog cage liners are necessary additions to hedgehog cages. They are mat-like objects used to line the bottom of the cage. They are made from a variety of cloth materials. Fleece is a favoured material for most hedgehog owners, but liners made from cotton and wool are common as well. Hedgehog cage liners can also be of single or multiple layers sewn together. Cage liners have practical uses like absorption of urine and protection from physical injuries. 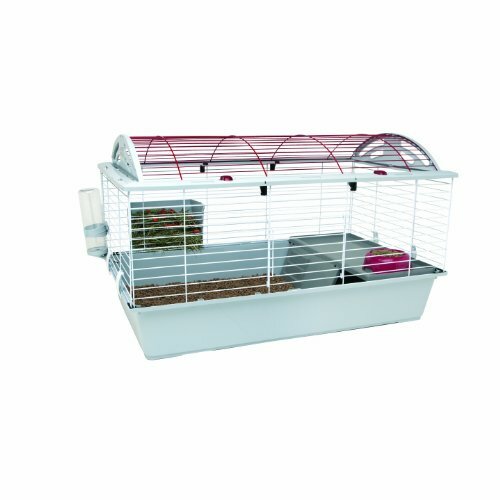 Other benefits that can be gained from having cage liners include extra comfort for hedgehogs when walking around the cage and easier clean up. They are also safer since hedgehogs will have difficulty biting off and accidentally eating pieces of quality liners. Hedgehog owners can have fun with cage liners as well. Some stores offer a variety of designs and make. Owners will enjoy mixing and matching these designs and trying out different types of cloth that will suit their pets best. Layering is also worth experimenting on. Hedgehog owners who can sew can even make their own liners for better customization. This will also eliminate the hassle of looking for cage liners that will fit their cage specifications. Cage liners make living more safe and comfortable for hedgehogs. Safe and comfortable hedgehogs are the happiest. And happy hedgehogs make happy owners.